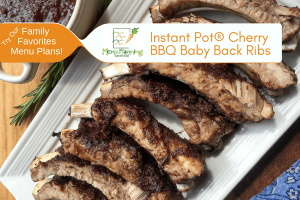 These succulent cherry BBQ baby back ribs are fall off the bone tender thanks to the Instant Pot®! 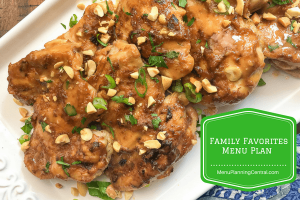 These are sure to become a new family favorite that they will be asking for again and again. 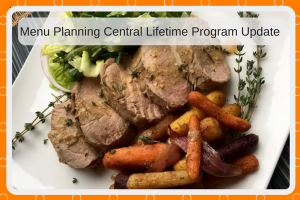 This recipe is so easy and delicious, you will be happy to add it to your menu planning rotation. What’s the secret? It’s the unique combination of cinnamon and rosemary in the dry rub we use that really enhances the flavor of this Amazing Dark Cherry BBQ Sauce! The great thing is that if you want to change it up once in a while, the flavors of our dry rub pair well with just about any barbeque sauce. These ribs are super fast and easy to make, AND they taste like they’ve been cooking all day long. Tip: To achieve that signature mouth-watering, caramelized crust we all love on our ribs be sure to place cooked ribs under a hot broiler or on the grill for a few minutes after cooking in the Instant Pot®. 2. Carefully remove membrane from back of baby back ribs with a sharp knife, if necessary. Cut the ribs into 3 or 4 equal-sized parts and massage the dry rub into each section on both sides. Set aside. 3. Add beef broth or water to Instant Pot® and insert the metal rack. Place the seasoned ribs on their sides, meaty side out on top of the insert. (Do not stack them flat on top of each other). 4. Lock the Instant Pot lid into place and flip the pressure valve to “Sealing.” Set the “Manual” setting to high for 30 minutes. 5. Meanwhile, line a large, rimmed baking sheet with aluminum foil and set aside. 6. Once cooking time is complete, do a quick release (QR) by flipping the sealing valve to the “Venting” position. Unlock and remove the Instant Pot® lid and carefully transfer ribs to prepared baking sheet. 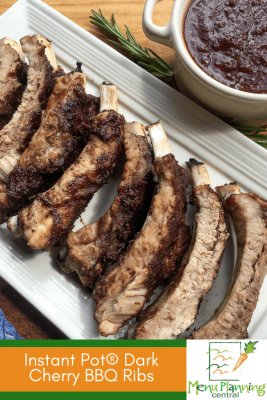 Brush ribs with a generous amount of BBQ sauce on each side. 7. Pre-heat broiler to high and broil the ribs for 3-5 minutes or until nicely browned. Remove from oven and cool slightly before cutting into individual portions. Serve immediately with extra BBQ sauce for dipping. 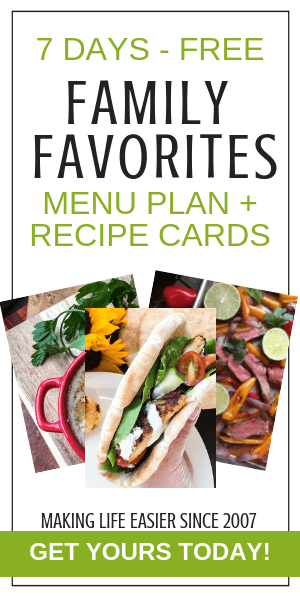 If this is a recipe your family enjoyed, you will really love our Family Friendly Menu Plans! Save $15 on our convenient annual plan with Coupon Code Save15!